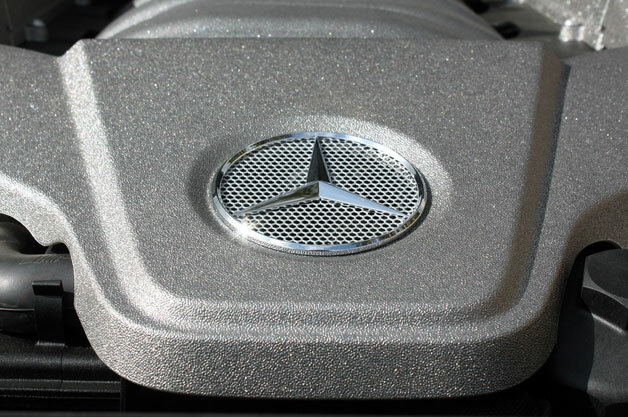 Mercedes-Benz is mulling a range of new engine configurations, according to CAR Magazine, including a new straight six. The news comes courtesy of an unnamed engineer who also said that the German automaker is currently planning a range of smaller-displacement, forced-induction V8 engines, as well as a larger selection of four-cylinder options. The company's larger vehicles will subsist on straight-six power moving forward, if the report turns out to be accurate. Buyers will conceivably be able to choose between single- and twin-turbocharged configurations depending on their power demands. The report doesn't mention exactly when we can expect to see these new engines in production vehicles, and with no specifics on application, displacement, fuel economy or horsepower, we have to imagine that the program is in its infancy at this point.